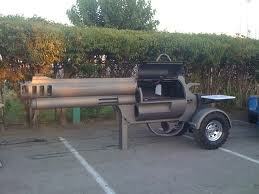 I like the look of the american style after watching too much bbq comps on food channel. does anyone have any practical experience with something like this?? any advice or tips Im all ears.... well eyes! 7mmsaum, veitnamcam, Toby and 2 others like this. Is that thing on wheels? Or maybe something along these lines. My wife's cousin has a Steam train running on tracks complete with it's own tunnel for when not in use. 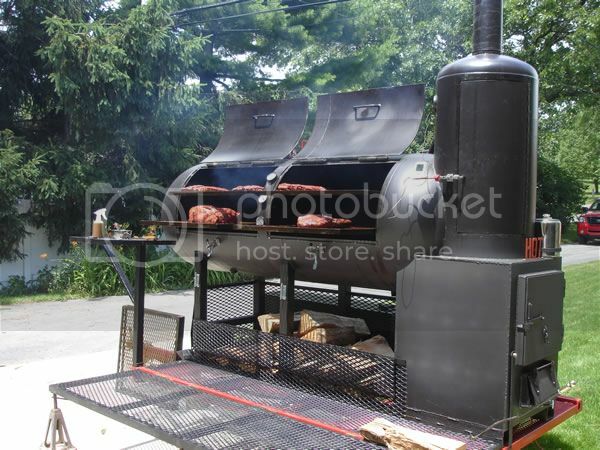 after a spell of research I have come to the conclusion that I will have a crack at making a gas ring powered smoker. It will be with a vertical cabinet (ex water cylinder) and a wood box over the ring. Many of us have made them, they have a simple venturi valve inside. Plenty of info on google too! An uncle has a old oven that's soley used to smoke Kai just turn the thing on and put food in.......with what ever style chips ya need.